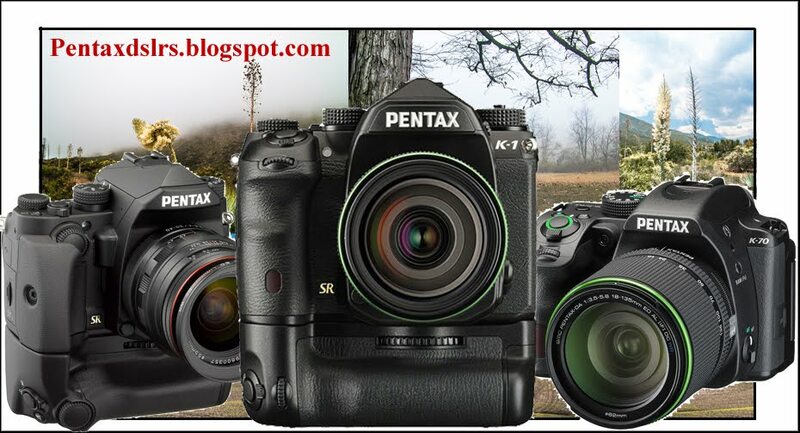 PENTAX DSLRs: Pentax Introduces the KP DSLR. Pentax Introduces the KP DSLR. WEST CALDWELL, NJ, January 25, 2017—Ricoh Imaging Americas Corporation today announced the PENTAX KP, an ultra-compact and highly portable DSLR with features and controls that facilitate capturing outstanding images, even in the most demanding conditions. The PENTAX KP packs many of the advanced capabilities of the award-winning PENTAX K-3 series into a modern, slim-body design that lends itself to applications from casual snapshots to serious outdoor photography while mountain climbing or trekking. The PENTAX KP also adds a new generation of innovations including a new, highly sensitive APS-C CMOS sensor and is the first PENTAX APS-C camera to incorporate Shake Reduction II (SR II), which features a five-axis mechanism to compensate for camera shake up to 5 steps. The new 24-megapixel CMOS sensor enables shooting in extremely low-light conditions, with sensitivity to ISO 819200, making the camera ideal for night photography. The PENTAX KP features an electronic shutter option in live-view to enable high-speed shooting up to 1/24,000-second, which greatly broadens shooting capabilities when using large aperture lenses to achieve a shallow depth of field on a bright sunny day. The PENTAX KP’s compact body is the result of a complete internal re-design to produce an advanced DSLR camera with an extremely slim profile for optimal comfort and handling. The KP’s rugged exterior is dustproof and weather-sealed to enable use in the most challenging outdoor conditions. The camera will perform in temperatures as low as 14 degrees F (-10 degrees C). · 5-Axis Shake Reduction System: The PENTAX KP is the first PENTAX APS-C DSLR to offer the new generation SR II system, which uses a five-axis mechanism to compensate for camera shake caused by horizontal and vertical shift (often generated in macro photography), roll (difficult to handle by lens-installed shake reduction mechanisms), as well as pitch and yaw. The SR II unit is controlled with great precision as soon as the camera’s power is turned on, providing a wide compensation range—as much as five shutter steps—to further expand the limits of handheld shooting. With the addition of an optional accessory GPS module (O-GPS1 GPS unit), the PENTAX KP, simplifies astro-photography, making it possible to record stars as points of light rather than star trails during extremely long exposures. · Pixel Shift Resolution: This acclaimed PENTAX technology enables producing color-accurate still-life subjects with the highest resolving power. The technology uses the KP’s in-body Shake Reduction System to move the image sensor in single-pixel increments, to capture four separate images that are subsequently combined into a single, high-definition image. 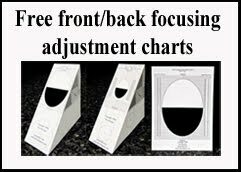 · A vertical-tilt LCD monitor that facilitates high- and low-angle shooting. · A grip replacement system that lets photographers choose their preference of grip based on shooting style or lens choice. In addition to the standard grip that comes with the PENTAX KP, accessory grips include medium (M) and large (L) grips (these will come packaged with KP bodies sold in North America), as well as the optional D-BG7 Battery Grip. · Control panels, button settings and dial controls that can all be customized, based on a user’s preference. 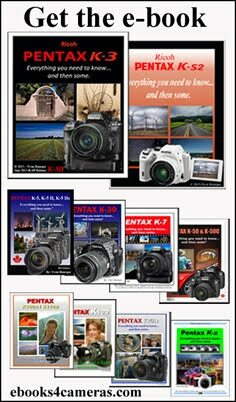 The PENTAX KP camera will be available on February 25 for a suggested list price of $1,099.95 at www.us.ricoh-imaging.com as well as at Ricoh Imaging-authorized retail outlets throughout North America. © 2017 Ricoh Imaging Americas Corporation. All rights reserved. All referenced product names are the trademarks of their respective companies. Thanks to the built-in SR II shake-reduction mechanism, the PENTAX KP effectively minimizes camera shake and delivers sharp, blur-free images, even in camera-shake-prone conditions such as when using a telephoto lens, shooting low-light scenes without flash illumination, or photographing sunset scenes. In addition to more common camera shake caused by pitch and yaw, this five-axis mechanism also compensates for camera shake caused by horizontal and vertical shift (often generated in macro photography) and camera shake caused by roll. It assures a compensation effect of approximately five shutter steps (CIPA standard compliant, smc PENTAX-DA 18-135mmF3.5-5.6ED AL [IF] DC WR、f=135mm) — a level equivalent to that of PENTAX’s flagship model — to expand the limits of handheld photography. When taking a panning shot, this mechanism efficiently controls the SR unit to compensate for all affecting factors without requiring any switching action. The PENTAX KP features the high-speed SAFOX 11 phase-matching AF sensor module to deliver dependable, responsive autofocus operation. Of its 27 focus sensors, 25 are cross-type sensors positioned in the middle to assure pinpoint focus on the subject at a minimum brightness level as low as -3 EV. A completely new, much-improved algorithm assures better autofocusing accuracy and speed than models equipped with the conventional SAFOX 11 module. The camera also provides useful customization features to assist in autofocus operation, such as a choice of operation modes—focus-priority, release-priority or advance-speed-priority—and the Selected-area Expansion function to automatically refocus on a subject when it moves away from the initial point. The PENTAX KP captures flawless, high-resolution Full HD movie clips (1920 x 1080 pixels; 60i/30p frame rate) in the H-264 recording format. It also provides an external microphone terminal for manual setting of the audio recording level and monitoring of the sound pressure level for microphone input. In addition to various visual effect modes available during movie recording,* it features a range of movie recording functions, including a 4K Interval Movie mode that connects a series of 4K-resolution still images (3840 x 2160 pixels) at a fixed interval to create a single movie file, and the Star Stream mode to record the traces of stars in the Interval Movie mode. Up to 25 minutes or 4GB; automatically stops recording if the internal temperature of the camera becomes high. Note that the books are only available in PDF format. No actual paperback books are available. Get them. They work with any DSLR. Copyright . Awesome Inc. theme. Powered by Blogger.